I swear LHCF knows how to entice you into trying new things (aka turning you into a hopeless PJ). I found my way over there last week and stumbled on the thread about the Ouidad Double Detangler. Most kurlies know ease of detangling, removing shed hair and losing minimal hair in the process is the name of our game. It helps us retain our length and prevent knotting. I was all set to cop it at my nearest Sephora till I was hit with the price: $24. Many of the members on the forum stated it's good quality, worked great at detangling and removing the shed hair and that it was worth the investment. I just can't justify paying that much for it just yet. That translates to: I'm broke right now and can't afford it. 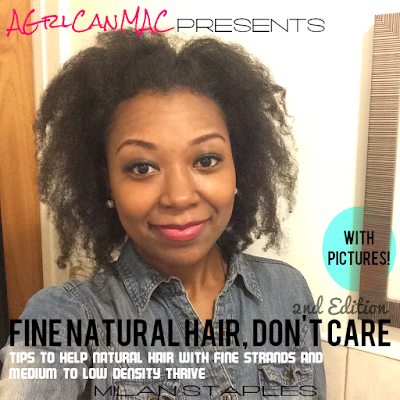 I don't have any real issues with my detangling sessions now, but I am always interested in trying something that may help me lose even less hair when doing so. After reading the thread, I also saw that Curly Nikki did a review on the comb as well so check it out when you get a chance. I'm going to wait it out some till I have more money and won't flinch at spending this much so it's been added to my hair care wish list. Do any of you have this comb? What are your thoughts? 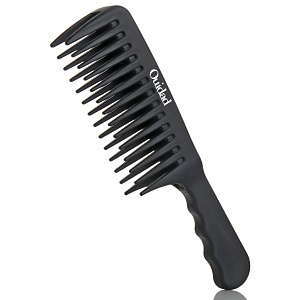 Would you invest $24 on a comb if it were good quality and delivered good results? The price is a little steep I believe for a comb. are there not good shower combs out there for this purpose also? I went to Sephora today after reading your post because they have a 15% off coupon right now, so the comb came to 20.00...still a little steep, but you do know that Sephora will let you return anything that doesn't work for you, right!?!? I read comments about this comb on the Sephora site. A lot of people said that it was really havey and too damn big. I wouldn't spend %25 on a comb, though. If it helps, Sephora is having %15 off every product for Beauty Insiders. i hear its heavy too and i cant fade spending $24 on a comb and a 15% discount makin it $20 is no better...half off THEN holla at me!! I purchased the Ouidad after reading Curly Nikki's reveiw. I love it! it makes detangling my curly 3c/4a hair a breeze. The weight in the comb is part of the contribution to make detanlging so easy with or without slip in the hair.